Jonathan Silverberg, MD, PhD, MPH, is an associate professor in the Departments of Dermatology, Preventive Medicine, and Medical Social Sciences at Northwestern University Feinberg School of Medicine in Chicago, IL. Dr Silverberg is the director of the Northwestern Medicine Multidisciplinary Eczema Center and founded the Multidisciplinary Eczema Clinic at Northwestern Medicine. 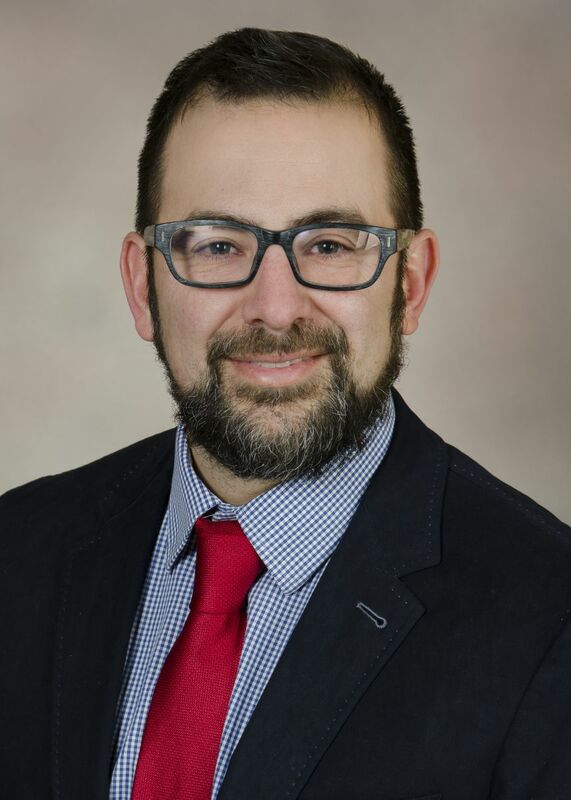 He is also the director of the contact dermatitis clinic and photobiologic testing at Northwestern Memorial Hospital, which provides comprehensive evaluation and management of skin allergies and photosensitivity. He was the recipient of the Georg Rajka Medal from the International Society of Atopic Dermatitis, the Teacher of the Year Award in the Department of Dermatology at Northwestern Memorial Hospital, and the Everett C. Fox Research Award from the American Academy of Dermatology. Dr Silverberg completed both his medical degree and master of public health degree at State University of New York, Downstate Medical Center in Brooklyn, NY. His master's thesis focused on the protective role of herpesviridae on atopic dermatitis and other allergic disorders as part of the broader "hygiene hypothesis." He completed his doctorate with thesis studies in neuroimmunology focused on murine immune responses after a seizure. He performed his residency training at St. Luke's-Roosevelt Hospital Center at Columbia University in New York City, NY. His research goals are to better understand the risk factors and medical comorbidities of atopic dermatitis in the US population. Dr Silverberg has authored 141 scientific articles and book chapters, including studies of the epidemiology of atopic dermatitis and "big data" research. He has extensive experience with database development, instrument development and deployment, and statistical programming. Dr Silverberg is an associate editor for the British Journal of Dermatology and Current Dermatology Reports and is on the editorial board of Cutis. He is a member of the National Eczema Association Scientific Advisory Committee and American Academy of Dermatology Atopic Dermatitis Expert Resource Group, and he is chair of the Society of Investigative Dermatology Atopic Dermatitis Epidemiology Working Group. He is also a member of the Alpha Omega Alpha honor society, American Academy of Dermatology, Society of Investigative Dermatology, American Contact Dermatitis Society, Illinois Dermatologic Society, and Chicago Dermatologic Society. Emma Guttman, MD, PhD, the Sol and Clara Kest professor of dermatology, is vice chair for research at the Department of Dermatology, director of the Center for Excellence in Eczema, and the Laboratory of Inflammatory Skin Diseases at the Icahn School of Medicine at Mount Sinai Medical Center, New York. She earned her medical degree from Sackler in Tel-Aviv, and a doctorate degree from Bar-Ilan, Israel. 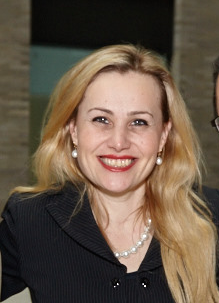 After her Israeli board certification in dermatology at the Rambam Medical Center at the Technion, Dr Guttman moved to the United States to pursue a postdoctoral fellowship at Laboratory for Investigative Dermatology at The Rockefeller University and a second dermatology residency at Weill-Cornell, NY. Dr Guttman's major focus is atopic dermatitis (AD) or eczema. She made paradigm-shifting discoveries on the immunologic basis of AD/eczema in humans, enriching the understanding of its pathophysiology and opening the door to new therapeutics. Dr Guttman has developed comprehensive molecular maps of AD, defining skin differentiation and immune-circuits characterizing this disease. She has established the reversibility of the AD phenotype and defined a series of biomarkers that are now accelerating testing of novel pathway-specific drugs for AD. Her research on atopic dermatitis/eczema has contributed directly to the recently developed treatments for this disease, earning her a unique place in dermatology and immunology worldwide. She is now testing (both clinically and mechanistically) multiple targeted therapeutics for atopic dermatitis that target Th2, Th22, and Th17/IL-23 axis. She has recently also extended her research interest to alopecia areata in which her findings are also translated to possible novel therapeutic targets. Dr Guttman has co-founded the international eczema council/IEC, for which she functions as president-elect. She was elected to the American Society for Clinical Investigation/ASCI, the American Dermatological Society/ADA, and received the Young Investigator Award from the American Academy of Dermatology, as well as several other awards. She has recently been elected to serve on the board of the American Skin Association. Dr Guttman is considered one of the world's leading experts in inflammatory skin diseases and authored more than 120 articles. She has also been featured as keynote speaker in many international and national meetings. Her achievements have been highlighted by the media including the New York Times, CBS News, Daily News, Reuters, Wall Street Journal, NY1, and others. Eric L. Simpson, MD, MCR, is a professor of dermatology in the Department of Dermatology at Oregon Health & Science University in Portland, OR. Dr Simpson received his medical degree from the University of Texas Southwestern Medical School in Dallas, TX. His internship was completed at Baylor University Medical School in Dallas and his residency at Oregon Health & Science University. Dr Simpson completed postgraduate studies at Oregon Health & Science University with a certificate in Human Investigations and a master’s degree in Clinical Research. Dr Simpson practices medical dermatology with special interests in chronic inflammatory skin diseases and skin cancer. He is actively involved in clinical research and is currently funded by the National Institutes of Health and industry partners to study new approaches to chronic skin disease treatment and prevention. Dr Simpson's collaborations are global in scope and he has been invited to present his research and approach to patient care at international conferences in Europe, North and South America, and Asia. He has published over 80 scientific articles in several high-impact peer-reviewed journals, including the New England Journal of Medicine and The Lancet. Dr Simpson supports patient advocacy by serving as the co-chair of the Scientific Advisory Committee for the National Eczema Association. He also serves on the executive committee of the Harmonizing Outcome Measures in Eczema (HOME), a volunteer group of patients, providers, and other stakeholders whose mission is to improve the quality of eczema research to better suit the needs of patients and policy-makers. The Postgraduate Institute for Medicine designates this enduring material for a maximum of 1.0 AMA PRA Category 1 Credit(s)™. Physicians should claim only the credit commensurate with the extent of their participation in the activity. Emma Guttman, MD, PhD, has affiliations with AbbVie, Allergan, Almirall, Amgen, Anacor, AnaptyBio, Asana Biosciences, BMS, Celgene, Curadim, Dermira, Drais, Eli Lilly, Escalier, Galderma, Glenmark, Kiowa Kirin, Kymab Limited, Lead Pharma, LEO Pharma Inc., Medimmune, Novartis, Pfizer, Regeneron, Sanofi, Sienna, Stiefel/GlaxoSmithKline, Theravance, and Vitae (Consultant). 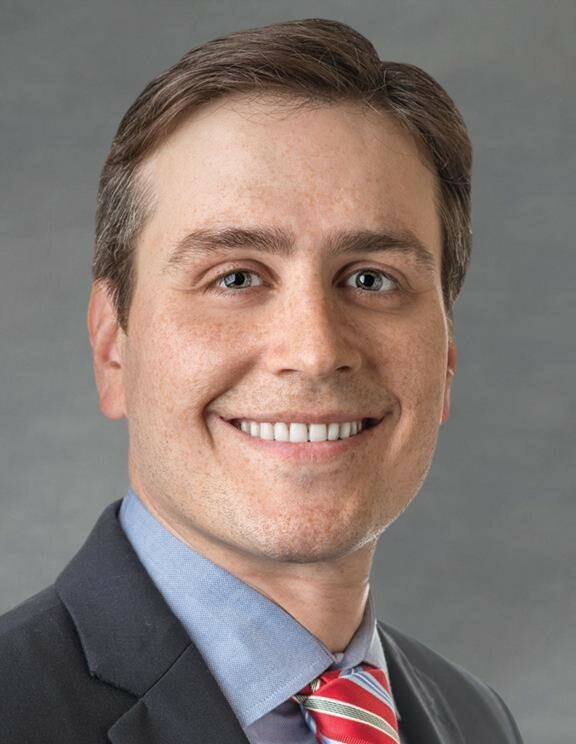 Jonathan Silverberg, MD, PhD, MPH, has affiliations with AbbVie, Anaptysbio, Asana, Eli Lilly, Galderma, Glenmark, Kiniksa, LEO Pharma Inc., Menlo Therapeutics Inc., Pfizer, Realm, Regeneron-Sanofi, and Roivant (Consulting Fees); Regeneron-Sanofi (Speakers’ Bureaus); and Galderma, GlaxoSmithKline, and Regeneron-Sanofi (Contracted Research). Eric Simpson, MD, MCR, has affiliations with AbbVie, Eli Lilly, LEO Pharma Inc., Menlo Therapeutics Inc., Pfizer, Regeneron, and Sanofi Genzyme (Consulting Fees); Eli Lilly, Glaxo Smith Kline, LEO Pharma Inc., Novartis, Regeneron Pharmaceuticals, Inc., and Roivant (Contracted Research). The PIM planners and managers have nothing to disclose. RMEI Medical Education, LLC planners and managers have nothing to disclose, except for Misha Mutizwa, MD, who has affiliations with Celgene (Consulting Fees, Speakers’ Bureau). This educational activity may contain discussion of published and/or investigational uses of agents that are not indicated by the FDA. The planners of this activity do not recommend the use of any agent outside of the labeled indications. The opinions expressed in this educational activity are those of the faculty and do not necessarily represent the views of the planners. Please refer to the official prescribing information for each product for discussion of approved indications, contraindications, and warnings. This activity is jointly provided by Postgraduate Institute for Medicine and RMEI Medical Education, LLC. This activity is supported by an educational grant from Sanofi Genzyme and Regeneron Pharmaceuticals. Physicians who successfully complete the post-test and evaluation will receive CME credit. You must score 75% or higher on the post-test to receive credit for this activity. All other participants who successfully complete the post-test and evaluation will receive a certificate of participation. If you would like to contact Postgraduate Institute for Medicine, please email information@pimed.com.